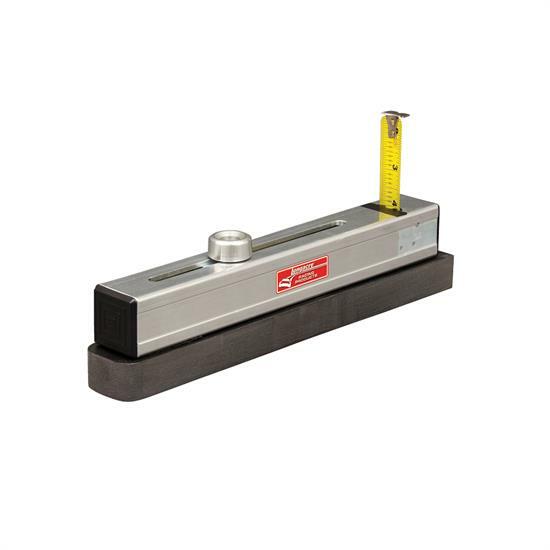 Great for quick, accurate checks of chassis height. Push it under the car, raise the tape with the knob, pull it out, and read the height. Range is 2" - 8", accurate to 1/16", read on right side of tape. This is the shortened and simplified version of our Chassis Height Measure Tool PN 78320. Quick, accurate, easy to use. It won't measure height dynamically as you work, it must be removed to read, and it won't measure height while your car is on scales. However it is a great replacement for 'step' type tools, more accurate, more versatile, and at a great price.